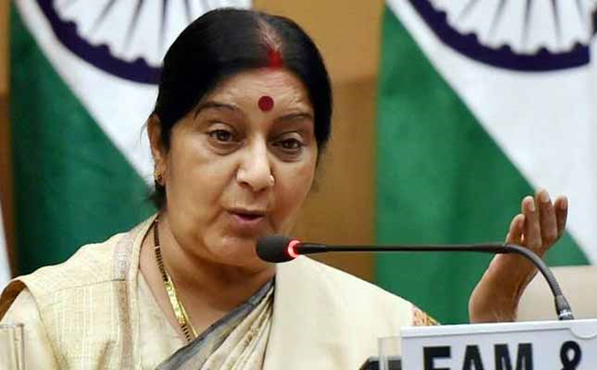 The Minister of External Affairs of the Republic of India, the Hon Shushma Swaraj, has hailed the warm and vibrant relations which exist between India and the Continent of Africa. Quoting recent high profile visits to the Continent by the top Delhi Government echelon including the President and Prime Minister. Swaraj said these were all indicative of the mutually beneficial relationship that India enjoys and wishes to continue to nurture and enjoy with African countries. The Minister made these remarks as Chief Guest on the evening of 25th May, at the apex function of the celebration of Africa Week by African diplomats. The function hall at the J W Marriot in Aero City, New Delhi, was packed full of Africans, Indians and many other nationalities; enjoying the warm ambience of African cultures in dress, food and dance. The evening function was hosted by the African Head of Mission Group together with the Ministry of External Affairs of the Republic of India. Other events in the week included a social evening for diplomats and their families during which the Democratic Republic of Congo fielded the best football team which floored Diplomats four-to-zero. At another function to discuss Africa-India Trade and Investment, the Joint Secretary for East and Southern Africa, Dr Neena Malhotra, outlined various ways, including lines of credit, which underlined India�s commitment to supporting investment and trade with the Continent. There exists a vibrant Africa Group of Heads of Missions in New Delhi, led by their Dean, the Ambassador of Eritrea.